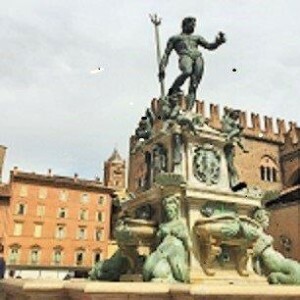 Your private Bologna tour includes: services of our guide, private transportation. Enjoy a culinary tour as we take you on a private Bologna tour. Your Bologna tour takes you north of Florence to the region of Emilia Romagna. The landscape will transform as you get closer to Bologna, the capital of the region, as you will be in middle of Padana Valley, the biggest and most important agricultural valley in Italy. Bologna, the capital of the Emilia-Romagna region located in Po River Valley and in the most important agricultural valley in Italy. Bologna is ancient, dating back to 1,000 B.C. during the time of the Etruscans, the Celts and Romans. It is home to the oldest university in the world, the University of Bologna. Bologna is renowned for its food and gave us the famous Bolognese sauce (“ragu” locally), and also produces an array of regional products like prosciutto, salumi and mortadella. You’ll visit the ancient market still in existence today. Your Bologna tour also takes you outside the city to meet with a master balsamic vinegar producer. You’ll have an opportunity to hear about their family operation and its production process as well as taste a few of their products. NOTE: As always all our private tours, including this Bologna tour, can be fully customized according to your special needs.